Professional development is critical for success as a modern engineer. Here are some tips to help you create your own professional development action plan based around the skills most desired by employers. 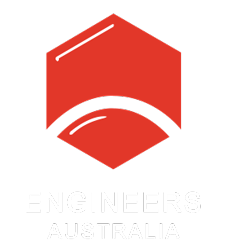 Engineering Education Australia’s Education Manager Jason Fletcher said professional development demonstrates your commitment to the engineering profession. “Participating in continuous professional development not only builds your own career, but it strengthens the capability of the teams and organisations that you work for, leading to better outcomes for your clients and the communities they serve,” Fletcher said. As an industry leader, Boral’s National GM of Engineering Domenic Saffioti FIEAust CPEng agreed that professional development ensures his team meets the changing needs and capabilities of the engineering profession. “The benefits include keeping abreast of technological changes across design standards, materials and innovation, allowing us to deliver optimum solutions to the customer,” Saffioti said. “By setting out your plan for the year ahead, you can target your learning activities to match your personal and professional goals, as well as schedule them to suit your availability,” he said. “Start by thinking about what areas you would like to improve your knowledge and skills,” Fletcher said. “Are there compliance requirements that need to be met? Consider how your professional development plan links to your broader career goals and your organisation’s strategic and business plans. “By starting with your goals in mind, you can then research what you need to do to achieve them. “Options include reading professional publications and journals, finding a mentor, participating in discussion groups, online learning, qualifications and of course Engineering Education Australia’s training courses.”. “Technical ability is often easier to obtain than interpersonal skills, with the latter being the conduit and facilitator of customer focused, fit-for-purpose solutions,” he said. View their course calendar here to find out what training is on offer in 2019.